Our Partnership comprises business and community members from across Ovens Murray who care passionately about the future of our region. They are joined on the Partnership by the CEOs of our Local Government Areas, as well as a representative of Regional Development Australia (ensuring Commonwealth involvement with the Partnership) and a representative from the Victorian Government. Irene Grant is an experienced board member and was an Administrator at the Rural City of Wangaratta from 2013 to October 2016. She is also a former Wangaratta Mayor and was Chair of the Australian Cities Group representing 30 municipalities across regional Australia. Irene holds a Master of Business Management. She is a strong and committed advocate for ‘provincial living’ who believes that regions have many assets and strengths, and offer great opportunities in tourism, arts and culture, the environment, sports and business. 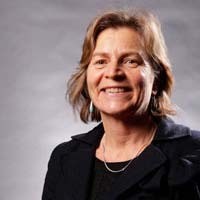 Margaret Bennett is Chief Executive Officer of Northeast Health Wangaratta and has previously held senior health executive roles in regional New South Wales and Western Australia. Margaret is passionate about community engagement, growing effective partnerships, fostering innovation and working across sectors to deliver better health services. 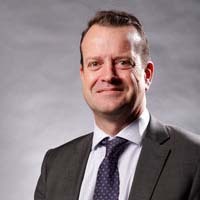 Mark Dixon is Chief Executive Officer and Managing Director of Wodonga TAFE and the Driver Education Centre of Australia. He has over 30 years’ experience as a defence force officer and post graduate qualifications in leadership, science and technology, as well as industry experience in logistics and supply chain management. Mark is passionate about growing regional participation in further and higher education, leading to successful employment outcomes. Amber Gardner is Chief Executive Officer of Tourism North East. 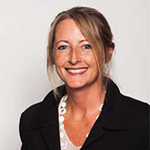 She has strong experience in alpine resorts and holds a Master of Marketing and Bachelor of Media and Communications. Having worked in regional tourism for over a decade, Amber is passionate about driving positive outcomes to the local visitor economy. Elisha is Venue Coordinator at the Wangaratta Performing Arts Centre. She holds a Bachelor of Business (Management and Marketing) and graduated in 2014 from the Alpine Valleys Community Leadership Program. Elisha is passionate about arts and ensuring that everyone has access to theatre and live entertainment, as well as making smart business decisions that are in the best interests of our community. Rosie is a small business owner and independent theatre producer, who worked in book and magazine publishing for many years before tree-changing with her family to Glenrowan West to run a sheep farm. 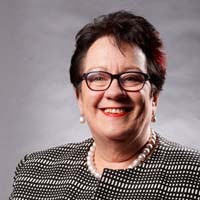 She is a board director of Tourism North East and the Alpine Valleys Community Leadership Program, and a member of the Advisory Committee for Arts, Culture and Heritage for Wangaratta Council. She believes that engaged and empowered communities and stunning pristine environments are the greatest assets of North East Victoria. Susan Benedyka is a business owner with a primary focus on providing services in facilitation, community and stakeholder engagement, strategic planning and leadership development. 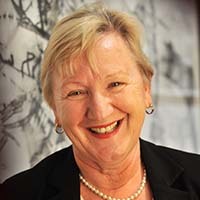 She has extensive board member experience in government, community and philanthropic bodies at the regional, state and national levels, and is a member of the Regional Development Australia Hume Committee. Her passion is regional development, and working across government agencies, business and community sectors to develop stronger, connected, more forward-looking regions. 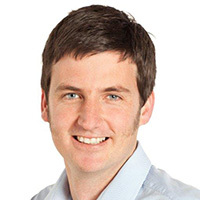 Nick commenced employment with State Government as the Executive Director, Local Government Victoria, following senior roles in local government as CEO of Brimbank Council and a Director at Maribyrnong and Maroondah Councils. 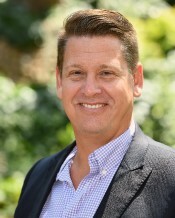 He joined DHHS in 2014 as Deputy Secretary, Sport and Recreation Victoria, and in 2015 was seconded to the Department of Economic Development, Jobs, Transport and Resources to head the Visitor Economy Review, before leading Tourism Victoria through their transition to Visit Victoria. Nick’s current portfolio encompasses delivering social housing, major health service capital works and sporting infrastructure at local and state levels. Brendan McGrath has been Chief Executive Officer at the Rural City of Wangaratta since 2014. He is also President of LGPro, the peak body for Local Government Professionals in Victoria. He recently joined the Board of Procurement Australia. His previous roles include six years as Chief Executive Officer at Indigo Shire Council, as well as senior roles at Mitchell Shire. Patience joined Wodonga Council in 2000 with extensive experience in planning, financial management, service delivery and evaluation. She has a career-long history of fostering effective partnerships, forming strategic alliances and leading and developing teams. Through this experience, she has developed a sound knowledge of a range of sectors including all levels of government, the community and the economy and service areas. Charlie is the CEO with Alpine Shire Council after joining Local Government in 2015. Charlie is an environmental engineer with a diverse background. He has been a truck driver, farmer, run his own consulting business, led a car-sharing operation in Melbourne and has nearly 20 years experience in the water, natural resource management and local government sectors. Charlie enjoys working with people on complex and challenging problems to deliver outcomes for the community. 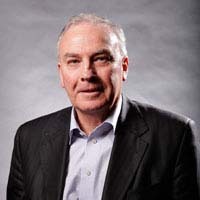 Trevor was appointed to the position of Indigo Shire Council CEO in 2018 after a career spanning more than 30 years in both public and private sector industries. These included banking, motor vehicle manufacturing, food manufacturing, printing services, as well as 10 years as chief financial officer with Goulburn-Murray Water, Australia's largest rural water authority. Trevor’s most recent role was Director of Business Services at Wodonga City Council, a position he held for 10 years. Alex has been CEO at Mansfield Shire Council since August 2015. Prior to this Alex was a Director for a South West Victoria Council for eight years, with responsibilities for the planning, coordination and oversight of community facilities and programs. Previous to working in local government, Alex had extensive experience in land management roles across Victoria and NSW. He holds a Masters of Business Administration and Bachelor of Science. Alex has a strong focus on delivering outcomes for the community locally and across the region. Prior to taking up the role as CEO of Benalla Rural City Council in 2003, Tony’s previous roles included Corporate Manager Finance and Information Services for Bayside City Council, Director of Finance and Administration and Deputy Chief Executive Officer of Camberwell City Council. He has over 26 years senior management experience in the Local Government Sector and has led Project Management Teams in the planning and construction of major community facilities. 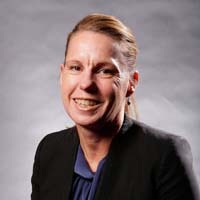 Juliana has held the position of CEO at Towong Shire Council since May 2009, having joined the Council in 1999. Prior to this, she held a senior management position in the manufacturing sector based in Wodonga. Juliana is a Chartered Accountant, with experience in auditing private and public organisations. 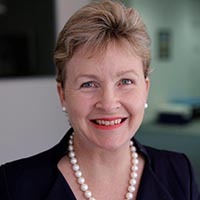 She is also a graduate of the Australian Institute of Company Directors and holds a Bachelor of Business (Accounting and Economics) and a Masters of Business Administration. Juliana is also the Local Government CEO Representative for North East region on the Rural Councils Victoria Executive Committee.